Wow July seems to have gone by in a heatwave blur hasn't it? We have loved the lovely weather and enjoyed spending lots of time in our garden which we had overhauled last year and is now much more family friendly. We have spent lots of time with friends and family and I feel like I have spent hours and hours in local play parks pushing the swings! 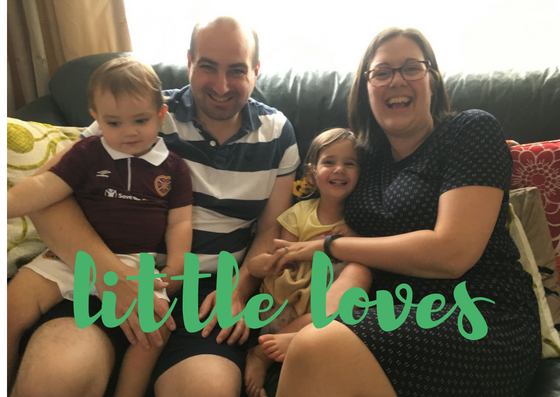 I can't pinpoint anything specific that we have done but just enjoyed time together which seems so important now as BookBairn starts school nursery next month and it's so important to me that we adventure together as much as we can before she starts as the time is going to fly by even faster. And so to treasuring my little loves for this month. It's actually quite difficult to think of which book BookBairn has enjoyed reading the most this month because she has enjoyed reading lots and lots of different books. It feels like every bedtime and quiet time we have read a different story and I love that! Whilst I know that repetition is great for kids reading and understanding, I love that she is reading more widely! 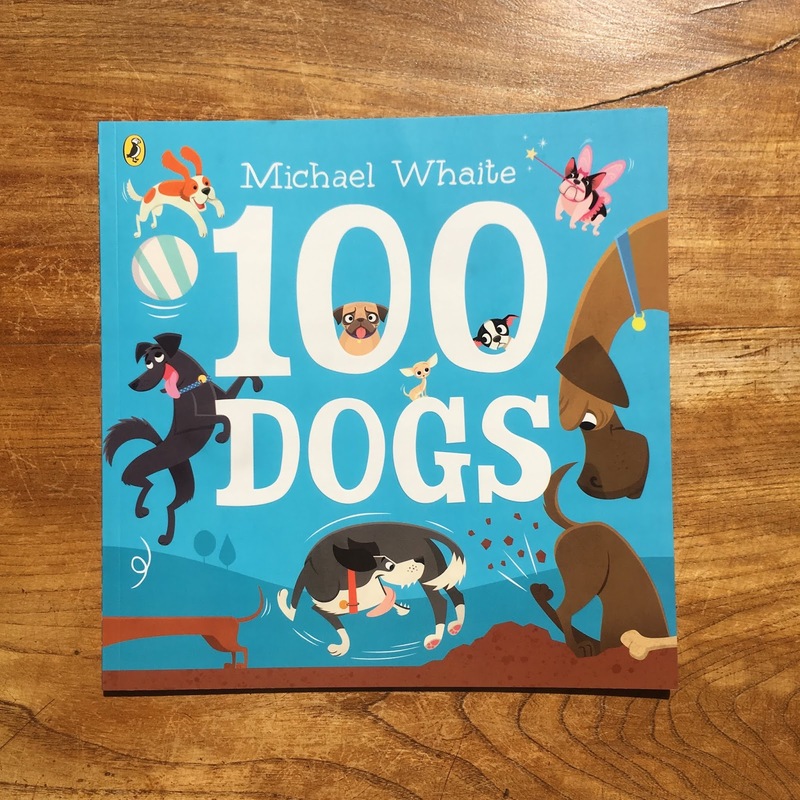 One of our favourite recent reads is '100 Dogs' by Michael Whaite which is a brilliant rhyming story that shares 100 dogs each getting up to different things. It's laugh out loud funny! The Wee Page Turner absolutely adores 'The Queen's Hat' by Steve Antony. We read it several times every day as he pulls it out of his book basket and slides around the house on it's cover. He then sits at any adult's feet and quite literally throws the book at them. It is a brilliant story of the Queen who is on her way to visit someone very special when the wind sweeps her hat off her head, and as it soars high above London and many of it's landmarks from Trafalgar Square over London Bridge, and The Wee Page Turner's favourite Big Ben! The colour palette in this book is predominantly red, white and blue and the simplistic line drawings (that are packed full of detail) clearly entrance the smallest reader in our house. We are definitely going to get the other books in this series. I have finished the Harry Potter series this month and I have just loved reading (and listening) to them so much. There is a whole world of things that I didn't know about the world of Hogwarts and Wizardry. As enchanting and magical as everyone told me (but I was too stubborn to read and then I missed the boat) I loved every page. I laughed and wept over the characters and their stories. I can't wait to read them all again! From Halloween! And now I've finally read them. 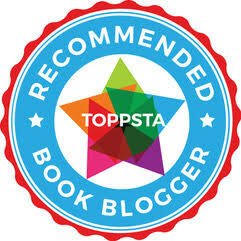 For more of our favourite reads you might want to check out our Favourites Shelf blog post. We haven't been watching as much television recently as I've been trying to cut down on screen time a little. 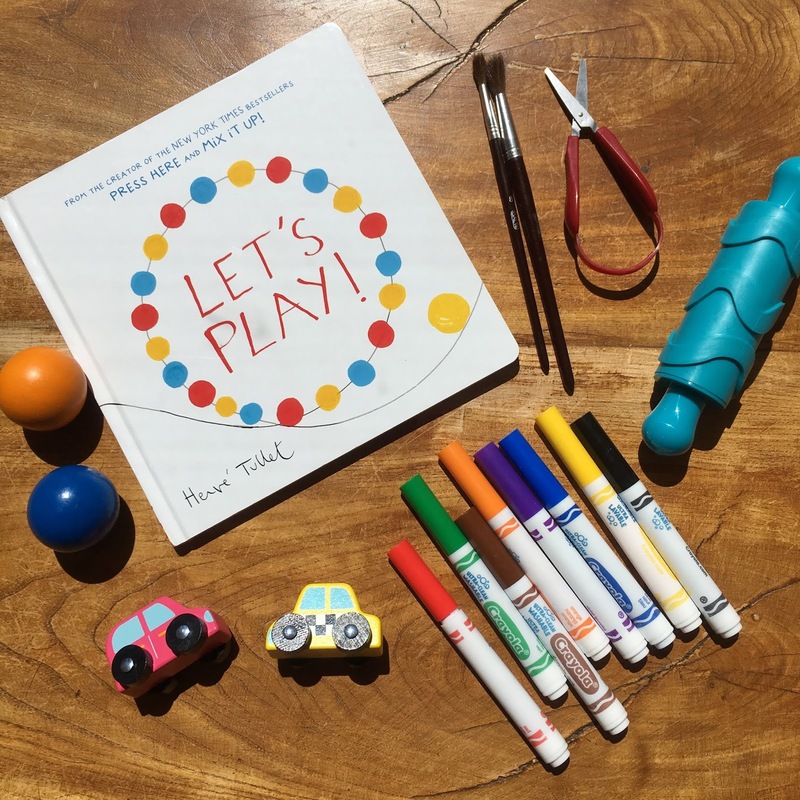 I felt the kids were watching too much and I was relying on screen time to get some peace and quiet and get stuff done too much and that they kids weren't learning to and enjoying playing with their toys imaginatively. So we have cut back but obviously we've not cut it out completely! One of the things I have done, which seems to mesmerise the kids is make up a playlist of disney songs and clips on YouTube and then I screencast/chromecast (or some similar technological term) it on to the TV. That way I know exactly what they are watching but they get to watch their favourite songs without shouting on me every three minutes to play another one. It's my favourite parenting hack! Since I dislocated my shoulder I have been very wary of not lifting too much and overdoing it as I'm paranoid about dislocating it again. But this week I put all 14kg of The Wee Page Turner in our baby carrier and wore him on a walk in the village where I spent lots of happy childhood summers. Part of the reason we live where we do is because it is less than half an hours drive from this little patch of heaven on earth and I love it. I walked with him out to the lighthouse and to an old ruin along the coastal path and then through the village and along the beach to the beach huts where we raced and built sandcastles and did Olympic jumping and investigated rockpools and even swam once or twice in the rather cool North Sea. And after 5km of walking I didn't hurt one bit in anywhere but my feet! And The Wee Page Turner, who hasn't slept in my arms since he was fourth months old, fell asleep in the carrier and snuggled in close. It was so lovely and a real moment to cherish. I have said it before and I'll say it again. I am no baker. If that's your talent or hobby I admire you because I simply do not have the patience for it. I know my strengths and they do not lie in creating marvelous and delicious treats from flour, eggs and butter. 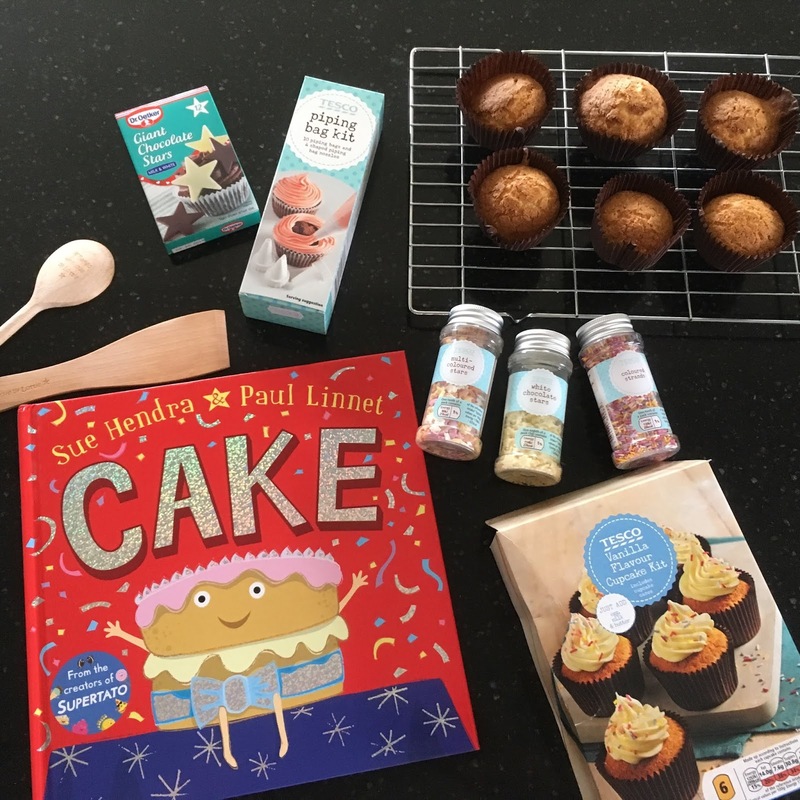 But I make the effort occasionally to open one of those pre-mixed kits and add the wet ingredients and pretend with BookBairn that we are baking. And she loves it! So this month we did just that and baked some little cakes for when one of my lovely friends came round to play. And they were scrummy. I did ice them but they didn't look very pretty so we covered them in sprinkles and pretended that it didn't matter that the looked rubbish. Because they were reduced to crumbs within minutes anyway. One thing we have heard from The Wee Page Turner is lots more babbling and sounds but still only a handful of words. He can say mama and a few other things but still not many other things. One of the things that I have noticed is how much more he understands though so I'm sure it won't be long before he is challenging his big sister for chatterbox of the family. I am going through a phase where I'm finding it tricky to find the time and energy to blog. Most evenings I am too tired, and The Wee Page Turner has dropped his morning nap which I used to use for blogging time when BookBairn was at nursery two mornings a week. But with that now gone I find myself trying to fit it in here and there and can't really get excited about it. I know it's just a phase and from mid-August BookBairn starts school nursery five mornings a week and The Wee Page Turner will go to private nursery twice a week so I hope I will have time to catch up on lots of things I'm needing to get done as well as go to the gym and find more time to blog! 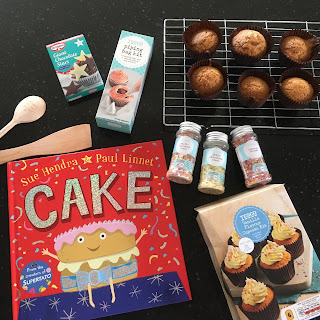 I have a few things planned in August with a couple of blog tours but other than those I think I will be taking a little step back to help BookBairn settle into her new nursery and to enjoy the Edinburgh Book Festival. And then I will get back to blogging more regularly again in September. You are so right! My problem is I always plan to do more than I can fit in a day! The Queen’s Hat with the Wee Page Turner lots of times and he absolutely loves it. Mamma Mia Here We Go Again - not sure about it. Didn’t think it was as good as the original but still enjoyed it. A sweater for the first time in over 6 weeks. 5 rounds of golf in Florida. Hot and sweaty but good fun. Playdough shapes with BookBairn. It’s great just watching and listening to her play. That the Wee Page Turner has taken a few more steps. Great stuff. I hope all the nursery changes go well. That's a great list! You should start your own blog!